It’s not magic, it’s volunteers, like you! Start earning your Volunteer Incentive Program (VIP) points today. 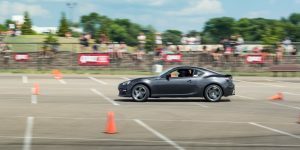 Register as a volunteer for region events on https://www.motorsportreg.com/orgs/scca/land-o-lakes. Check out our upcoming events on our calendar here. Redeem your VIP points! Use the word document form here or the easily printable pdf form here! Contact Emily Jenkins or your event steward to make sure to get your points registered in our program documents (current archives below). The VIP points have been re-tallied and posted below. 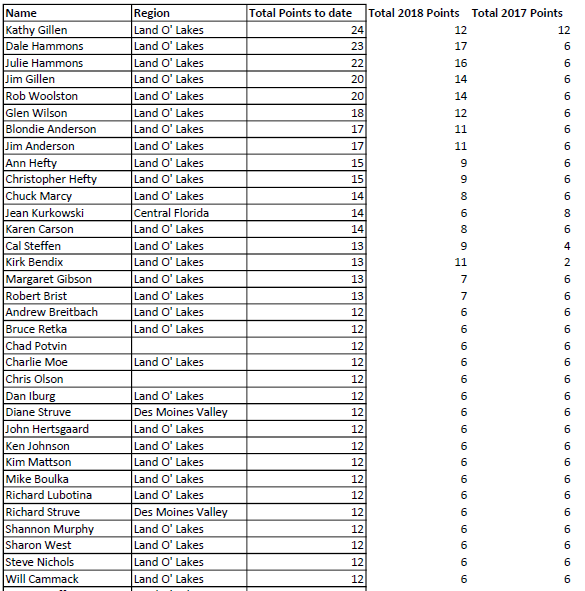 A points redemption form has been added above. 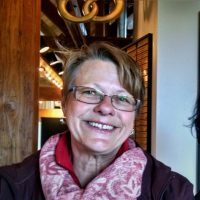 Region Board Announcement: Race Chair Kathy Gillen retires from Race Chair position to focus on Registrar duties leaving a Race Chair vacancy. 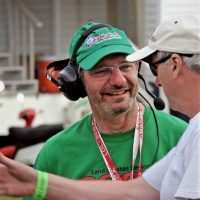 New plan for Race Chair position is to instead have a Race Chair Committee, that effectively divides required duties. 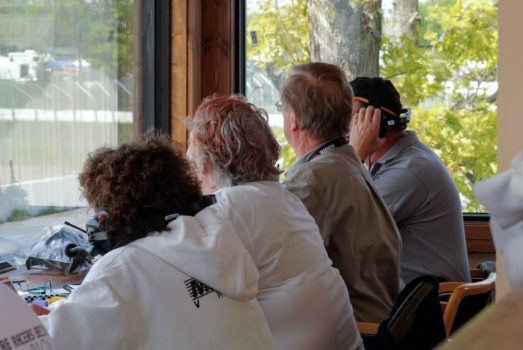 If you or someone you know would like to step up and take part, contact Emily Jenkins (assistant race chair), a Region Board Member, or member of the land o’ lakes region. 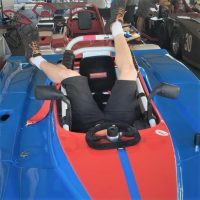 The race chair committee candidate must be an SCCA member and must be excited and dedicated to being part of a quality race event. Dale has been a consistent and strong presence in our regional activities. 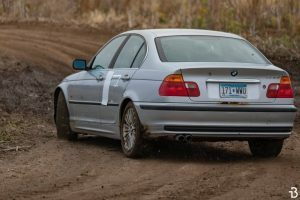 Beginning with our annual tech day in the spring, our 3 largest road racing events through the summer, and all the smaller autocross events in between you will find Dale inspecting and weighing cars to get them safe and race ready. Dale is an excellent mentor for our newer and younger members and volunteers looking to improve their tech specialty skill set. Jim is one of the biggest assets to our volunteer community. Jim knows the events and programs inside and out. You can find Jim at the worker’s morning meeting handing out corner assignments and radios. He values loyal and committed team members and takes pride in a successful weekend. Most weekends Jim is helping the region manage upwards of 30 corner workers! Julie is another valuable and reliable volunteer in the tech specialty. She has a very caring and warm demeanor. It is always a pleasure to work with Julie or to stop and check in with tech. Her furry companion Audi helps with that too! Julie has recently been expanding her specialties and learning new skills. Look our for Julie in the registration area of our smaller events and say hello. As his picture suggests, Will can be a little loony at times! 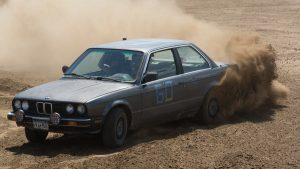 Will brings an exuberance and strong passion for motor sports with him. He consistently assists with flags, communication and corner marshaling at many events throughout the summer. Will is an excellent mentor of incoming participants of all kinds as well. Working an event with Will is just plain fun! Glen has been a long standing figure of our region. His cool and easy going personality makes him approachable. 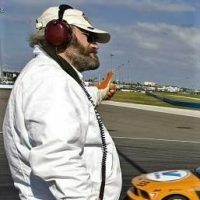 During the day you will find Glen helping the race cars get lined up on the grid lines before rolling out on to the track. Checking all the last minute safety devices, and we are a “Go” for launch! Off track Glen likes to hang out and discuss all kinds of interesting things. He has a strong dedication to the region. It’s amazing how fast time flies when hanging out with Glen and talking cars and life. 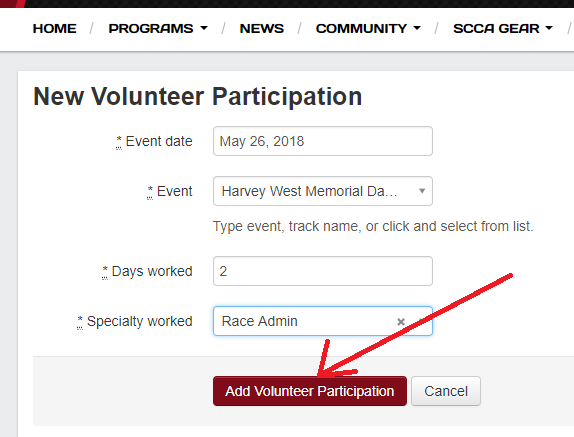 Make sure you are logging your volunteer time on SCCA’s national web site. This will earn you credit towards your membership fees for next year. Then you can save your region points for personalized merchandise! Note* Do NOT try to type the date, it doesn’t work that way! 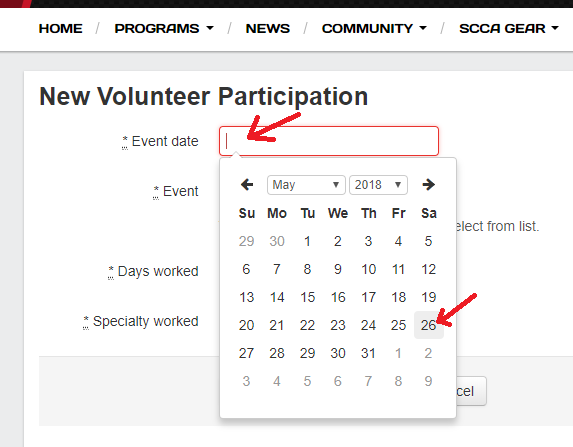 Note* Event cannot always be typed into the search box. Enter number of days worked and choose a specialty that best explains the nature of your assistance. If you made a mistake you can click the delete button and start over. Always track all your time volunteering – we don’t want you to end up paying for a membership to work for us! If you are having technical difficulties with the SCCA national website you can contact websupport@scca.com or call 1-800-770-2055. They seem to respond to email within 24-48 hours. Remember, we are all volunteers! 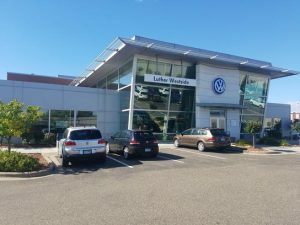 We are here to have fun with cars. 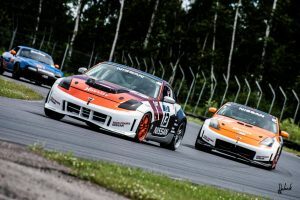 We have a rapidly growing community of sports car enthusiasts, and we would like them to all be volunteers at some point to see behind the screen. Its not magic, its volunteers! 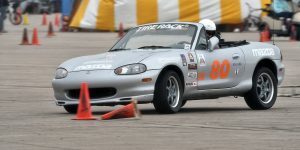 If you are ever unsure of how to get involved or where you might fit into our community, feel free to reach out to Emily Jenkins at emily.raskob@gmail.com or catch her at the track under the red tent of the red and white Jenkins Racing 21 Mazda Miata. 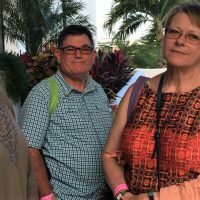 The Volunteer Incentive Program, recognizing leading community members since 2017. 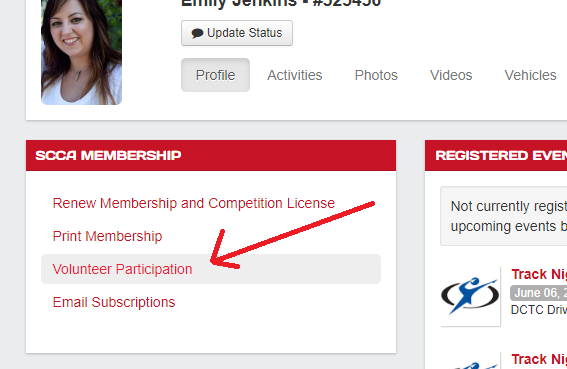 We finally have the VIP data funneling into the VIP web page. Please check it out and our newest highlighted community members. If you have someone you think should be highlighted, send their name and short bio into the VIP program lead Emily Jenkins (emily.raskob@gmail.com) or a Region member. 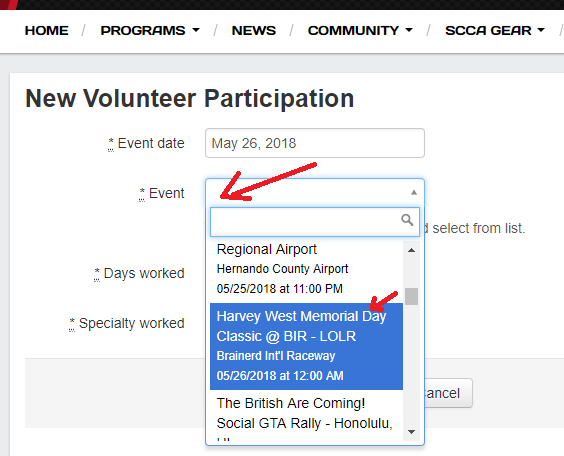 If you have a volunteer list for a Land o’ Lakes region event or a volunteer that you feel was missed on our lists, notify and send that data as well. The volunteer incentive program was the idea of many appreciative region members. Please thank Kathy Gillen, Mary Utech, Julie Hammonds, and Joan Bendix, among many others for helping to push to prioritize this program and get it launched. Our club is all volunteers and every one of our races are completely volunteer ran. 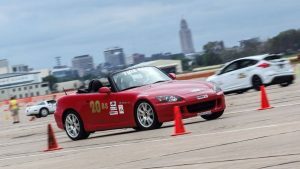 The passion for car sports drives us all!